Today we commemorate our fallen soldiers and terror victims, followed tomorrow by Israel's Independence Day. The idea of commemorating terror victims together with fallen soldiers was and is a controversial decision. Therefore, it's interesting to note that terror victim #1 on Israel's list was killed not only for being who he was - a Jew living in Israel - but for what he did - reestablishing Jewish national pride. R' Avraham Shlomo Zalman (The RASHAZ) came to Israel in 1811 with his family: his wife and three little children. He was among the hundreds of students of the Vilna Gaon who came to Israel in the early 19th century. R' Shlomo Zalman was one of the first who spoke of Jews in Israel turning to productive work. He foresaw a land where Jews would settle their land, build houses, open businesses, and stop relying on the money sent by Jews from abroad. He studied silversmithing, and once he got to Safed, his first stop in Israel, he opened a workshop. From then on he was known as R' Shlomo Zalman Zoref ('silversmith'). Later he bought land near Ramla, by the villages of Qazaza and Al-Mansura (today Mazkeret Batya), which was farmed by his son. In 1813 a cholera epidemic hit Safed, one of many misfortunes that befell the city's Jewish community in the upcoming decades. R' Shlomo Zalman decided this was a good time to risk going to Jerusalem. More than a hundred years earlier, in 1700, a group of European Jews led by Rabbi Yehuda Ha-Chasid came to Jerusalem. They bought land and built a synagogue. But their leader died upon arrival, and the group fell apart. The Jews couldn't pay their debts and taxes for the new building, the Arab creditors burned the synagogue down, and the entire Ashkenazi community was run out of town. Since then it was known as Rabbi Yehuda Ha-Chasid's Ruin ('Hurva'). Only a few Ashkenazi Jews remained, living 'undercover' by blending in among the Sephardi Jews. For a hundred years, any Jew who looked European and showed up in Jerusalem was expected to pay off the debts of his landsmen or risk jail or worse. In order to enter Jerusalem, R' Shlomo Zalman and his comrades "went undercover" as Sephardi Jews: they dressed in the manner of the Sephardi Jews and spoke Arabic. 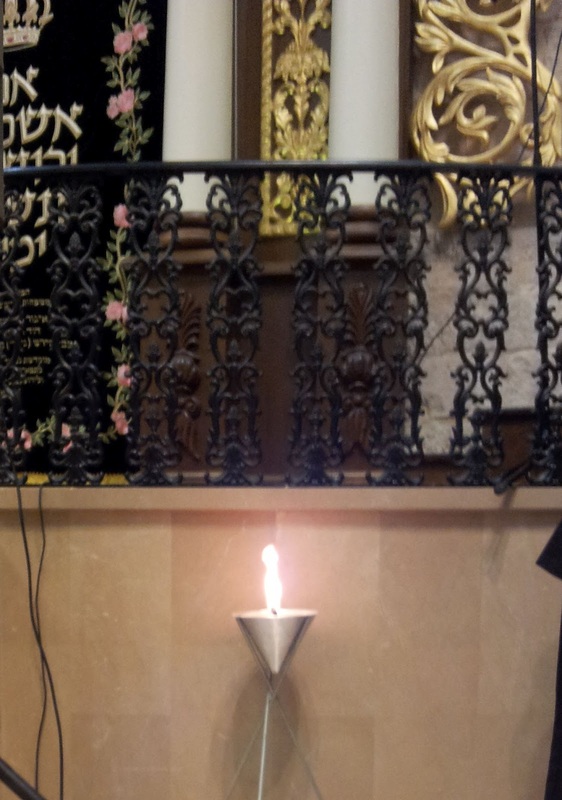 The Sephardi Jews of the city allowed their European brethren to pray in a side room of their synagogue. The Sephardi synagogue complex was made up of several sub-subterranean rooms, which desperately needed repairs. But R' Shlomo Zalman did not suffice with this arrangement. He had his sights set on an ambitious project which became his life's work: to rebuild the Hurva Synagogue. A proud symbol of Jewish national revival in Jerusalem and Israel. The opportunity presented itself when Muhammad Ali Pasha, the ruler of Egypt, conquered Israel in 1831. In 1834, Mordechai Shnitzer, who was one of R' Shlomo Zalman's friends, got permission from Muhammad Ali to renovate the Sephardi synagogue complex. The first stage in rebuilding the Hurva was to release the Ashkenazi Jews from the debts of their 'ancestors'. With political cunning, R' Shlomo Zalman got the Egyptian ruler to issue a firaman (government order) absolving the Jews of their debts and restoring the Hurva compound to the Ashkenazi community. 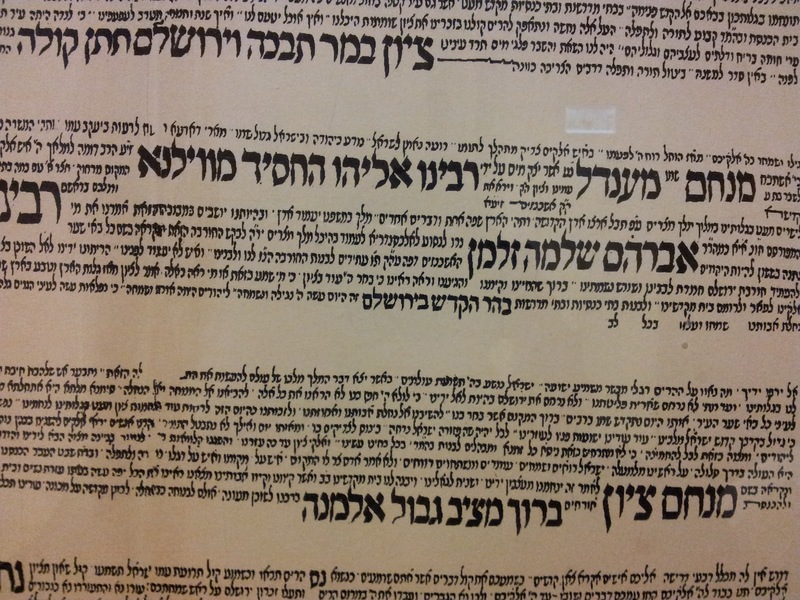 Rabbi Joseph Schwarz writes: "On the 18th of Elul 5596 (1836) we gladly started clearing the piles of dirt from the lot, and we discovered all the old buildings that were there: the synagogue and the mikveh [ritual bath] and several three story houses ... we also found ancient manuscripts from 5339 (1578) signed by Rabbi Israel Najara"
When the Arabs saw that the Jews started clearing the the rubble from the ruins of the synagogue compound, one of them hurried to build eight shops on the lot. R' Shlomo Zalman bought the shops. The Arabs then threatened to kill any Jew who dared rebuild the Hurva compound. In response R' Shlomo Zalman announced that all Jews must come and participate in the Mitzvah of clearing the rubble. Hundreds of Jews responded to his call. The Arabs stood around them, stones in hand. R' Shlomo Zalman stood on a pile of rubble and threatened the Arabs, saying that if any of them dared enter the courtyard, the Jews would arrest him and turn him over to the authorities. 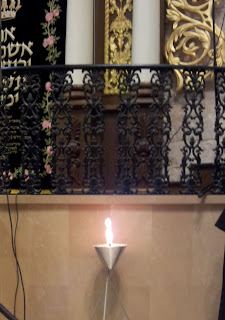 The Jews renovated one of the buildings in the compound as a synagogue and named it "Menachem Zion" (based on Isiah 51,3: 'For the Lrd has comforted Zion, He has comforted all her ruins'). A first step in rebuilding the Hurva itself. However, the Jews were still not allowed to build a new synagogue. The Jewish community split into two camps. One, led by Rabbi Yeshaya Bardaki, feared repercussions from the Muslims, and proposed that the Jews just do with small synagogues. The other, led by R' Shlomo Zalman, insisted on building a monumental Jewish center which would be just as impressive as the Christian or Muslim places of worship. It was only after the Crimean War that the Jews were allowed to rebuild the Hurva Synagogue. Building commenced in 1857 and the synagogue was dedicated in 1864. The Hurva Synagogue became a national institution for the Jews of Israel. However, R' Shlomo Zalman didn't live to see the realization of his vision. Twice Arabs tried to kill him. The first time an assassin shot R' Shlomo Zalman, but missed. The would-be assassin drowned as he tried getting away. The second time, in 1851, an Arab attacked R' Shlomo Zalman with a sword, right by the Hurva compound. R' Shlomo Zalman succumbed to his wounds three months later. R' Shlomo Zalman's legacy lived on. His son, Mordechai, who changed the family name to Solomon in memory of his father, was instrumental in developing Jewish business and agriculture in Israel. As was his grandson, Yoel Moshe Solomon, who is most famous for founding Petach Tikva. When our 'Palestinian peace partners' protest that they don't have anything against Jews, it's only those evil Zionists with whom they have a problem, it's important to remember, especially on this day, that the man the State of Israel honors as its first terror victim was killed long before Herzel was even born. When R' Shlomo Zalman came to Jerusalem, Jews were a minority. By the time he was killed, Jews were almost half the city's population, and by the time the first 'Zionist' set foot in Israel, Jews had regained the majority in Jerusalem. All, in no small part, due to R' Shlomo Zalman's efforts, and his conviction that Redemption will come when Jews stop fearing the gentiles and start taking action. This Wednesday marks Israel's Memorial day for those who fell founding and defending the State of Israel, as well as civilians murdered by Arab terrorism. It is one of the most solemn days in Israel, even known as the "secular Yom Kippur" -- and most of Israel's population observes the day and respects it. Israel collectively embraces the families of the fallen, and air raid sirens commemorate the day with a gut piercing sound as Israel grinds to a halt and we recall those who gave their lives fighting against the Arab enemies of Israel. And yet, there exists a new type of Israeli, who sees a moral equivalence between Israel's fallen, and those of the enemy. The IDF soldiers who died defending Israel and Israel's civilians who were brutally slaughtered by Arab terrorists are now commemorated in a morally-agnostic "Memorial Day Alternative Ceremony" -- sponsored by "Combatants for Peace"
This "alternative ceremony" intertwines the truth with lies, fact with fiction, and morality with evil, by jointly memorializing the "Israeli and Palestinians victims of the conflict," and disgraces the memory of those who fought for the Jewish State. Contorting history to "morally understand" the "Palestinian Narrative" for the sake of a possible peaceful dialogue is bad enough. Jointly memorializing IDF soldiers and victims of Arab terror, with "Palestinian victims of the conflict" is simply too offensive to comprehend. Those who wish to create such an alternative reality have no moral compass whatsoever. The borders of Israel are today under dispute, but that was also true 700 years ago. When Estori Ha-Parchi (Ishtori Haparchi), a Spanish-French scholar, came to Israel around 1313, he was shocked to discover that some Jews did not consider places like Ramla and Beit She’an to be in Israel. Ramla was called 'Gat' by the Jews since it was assumed to be the site of the Philistine city of Gath. The city was also called 'Falastin' in Arabic, because it was the capital of the 'Falastin' province, which was the name the Arab conquerors gave to the Byzantine province of 'Palaestina Prima'. How could it be, Estori Ha-Parchi asked, that these towns aren't in Israel? When we walk from Tiberias to Shechem, both of which are in Israel, we pass through Beit She'an. Are we really expected to believe that when we get to Beit She'an we need to pass through a border crossing?!? 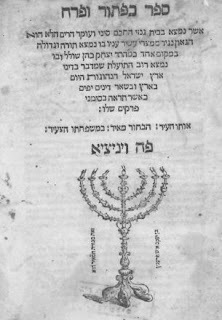 Estori Ha-Parchi writes that he would have kept silent if it would have just been a dispute on the details of Halachot in the different regions. But to say that whole towns and villages were outside Israel? He couldn't accept that. Becoming the first Jewish researcher of Israel, Estori Ha-Parchi spent seven years walking the land: two years in the Galilee, and five years for the rest of the land, both the West and East banks. His book, which deals with the laws of the Land, goes into a lot of scientific research: geography, botany, history, astronomy and numismatics. At one point he compares astronomy to geography: just as everybody sees the stars and many don't know which are which, so it is with the towns of Israel. He, of course, preferred the latter, and he explains that having spent so many years walking the land, he can now identify places. In identifying places mentioned in Jewish sources, he realized that the towns and villages retained their original Hebrew name in Arabic. At his time this was a new idea, and he spends some time in his book proving this point. Some of the towns identified in the 19th century were previously identified by Estori Ha-Parchi, such as Modiin, Usha, Eshtaol and Betar. Estori Ha-Parchi didn't just talk the talk, he walked the walk by moving to Beit Shean. At the time Bet She'an was a small town. The town was a station on the Mamaluk ‘pony express’, which passed there twice a week, and a center of sugar cane production. 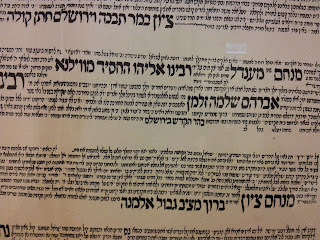 The Jewish community was led by Rabbi Matityah, whom Estori Ha-Parchi admired and consulted with. Estori Ha-Parchi quickly became Beit She'an's first PR spokesperson. It is a blessed land, he wrote in his book’s introduction: filled with springs and streams and much happiness. The land was very productive, the entrance to the Garden of Eden. One of the amazing things about Estori Ha-Parchi, is that we almost didn't know about him. For more than 200 years after “Kaftor Va’Perach” was written, it was forgotten. In the 16th century, a manuscript of the book was discovered in Egypt. This manuscript, the only surviving one known today, was printed for the first time in 1549. The book again had to wait for history to rediscover it. It was reprinted only 300 years later, in 1852, in Berlin. By then scholars realized its significance and importance. Had the book been lost, we would have never known about Estori Ha-Parchi and his research, nor about the Jewish communities of Beit She’an and other towns around Israel in the 14th century. Why Can't Israel Learn from Denmark How to Deal with Non-Violent Protestors? "The Danish foreign minister demanded an explanation from Israel on Monday regarding an incident Saturday in which a senior IDF officer hit a Danish protester in the face with his rifle at a demonstration near Jericho. “We don’t yet know the circumstances surrounding the episode. The Danish ambassador has therefore immediately asked the Israeli authorities for a report,” Foreign Minister Villy Søvndal said in a press release. 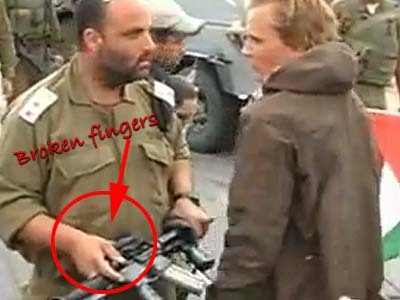 I demand an explanation why Denmark can't learn from Israel when it comes to non-violent demonstrators. Here's an important example of how Denmark's police deal with non-violent protestors. What a powerful image. 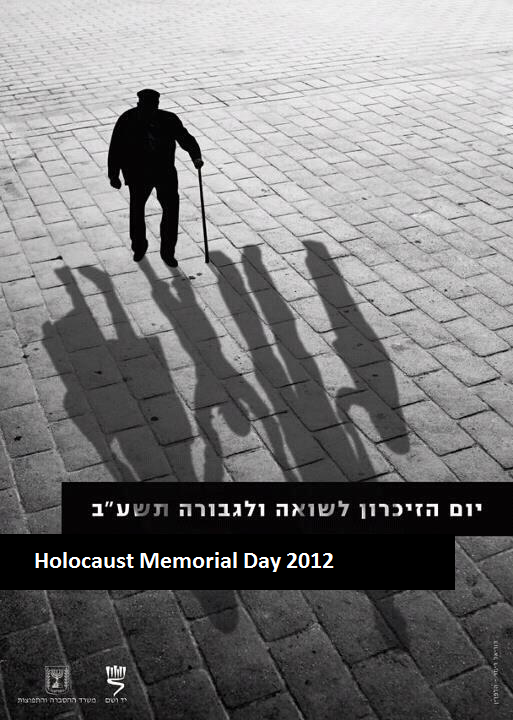 Gearing up for Thursday's Holocaust Memorial Day. Parents: Be advised that the following footage contains graphic images from the Holocaust. Not suitable for younger children. 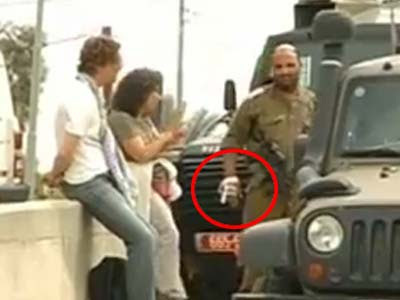 Israel is gearing up to deal with the upcoming "flytilla" infestation of "activists" from around the world, arriving today for the "Welcome to Palestine 2012" campaign -- who plan to go to Bethlehem and create mayhem and mischief in their wake. Calling Israel an "apartheid state", these activists couldn't care less about "human rights" or basic "human suffering". The Middle East is currently overwhelmed with real, serious human rights violations; such as the brutal slaughter in Syria, or the Hamas occupation of Gaza and their rocket strikes on Israel's civilian population. The US-backed "Palestinian Authority" just announced that the death penalty is being applied to the Palestinian who brokered the sale of the "Machpela" house in Hebron...by Arabs...to Jews. Yet these atrocities are of little concern to the flytilla activists who are bent on Israel's destruction. This morning, an IDF radio reporter, Tali Lipkin Shachak chided Israel's deputy Foreign Minister, Danny Ayalon for Israel's "treatment" of these "activists", and why we don't simply provide them with a seminar to educate them on the folly of their ways. 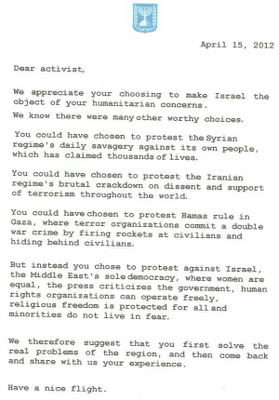 Ayalon replied that the activists aren't interested in hearing another side of the story or even facts. 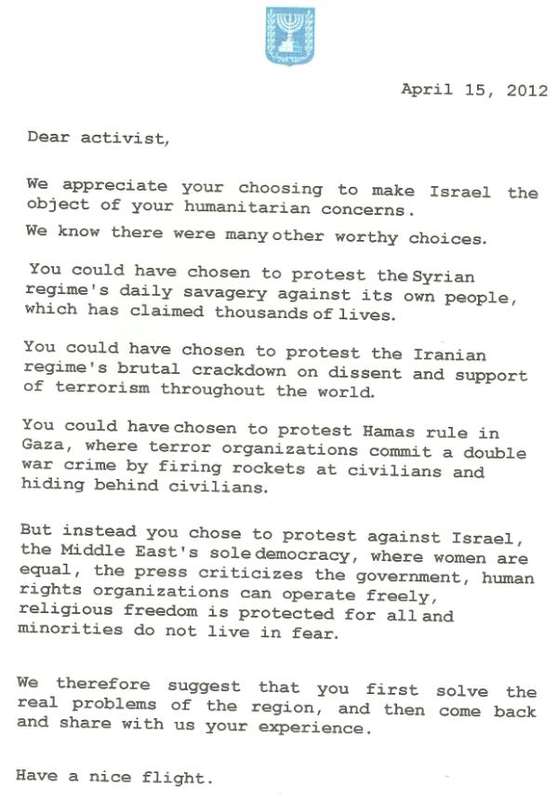 Lipkin-Shachak doesn't want to hear the facts either, and she thinks these activists really care about human rights. Not the first time either. Oh well. A good week to all our readers....as I hope to start posting regularly again. It's just not Pesach... without the obligatory Bedika night Pizza. There is no doubt that, by law, it should be required that Minyanim start an hour later for the first week after you move the clock forward.